Setting up Highfive is simple and usually takes less than 5 minutes! 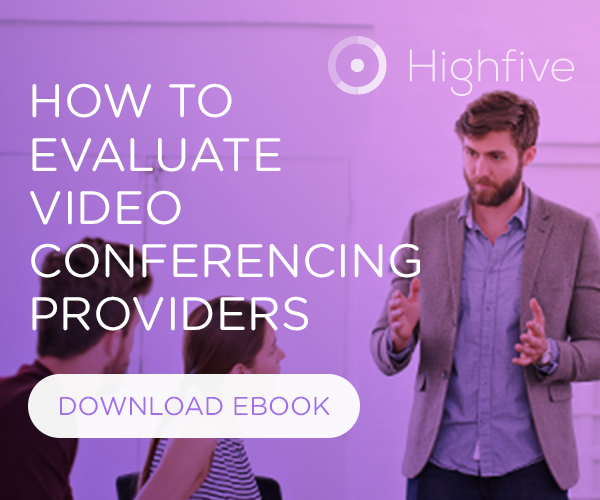 Prior to plugging-in the device, make sure you've optimized the conference room for Highfive to avoid any technical hiccups. Check out the video above or take a look at the simple steps below. The install process is successful if the TV displays the Highfive setup screen. There will be some instances where a new version of the device's software needs to be updated prior to a successful boot. The setup process is successful if the TV displays the Highfive home screen including your company's Highfive URL and the device's name displayed at the bottom.